Samsung wants to make one thing perfectly clear – they are not trying to steer us in the direction of ‘heath consciousness’ but merely trying to meet consumer’s needs and preferences. In the words of JK Shin, President and Head of IT & Mobile Communications Division at Samsung: “Consumers are looking for mobile tools that inspire and support them as they improve their everyday lives.” The health fitness craze started long before the Samsung Galaxy S5, Gear 2 and Gear Fit devices were announced at Mobile World Congress (MWC) 2014. It is projected that by 2015, there will be over 500 million users of mobile health apps and Samsung wants to be on the forefront of supplying those types of application to its users. Let us take a closer look at the S-Health app shown in the above picture, keeping in mind that Samsung’s S-Health has been around since it was first featured on the Galaxy S4 and is now in its third rendition. The newest, S-Health 3.0, incorporates the Heart Rate Sensor into an already established application that included a pedometer as well as collect and calculate calories burned, along with heart rate, based on the type of exercise – walking, running, cycling or hiking. The S-Health 3.0 also includes a coaching option that will recommend workout plans or to help you set goals customized for your lifestyle. The functionality of S-Health should grow as third-party manufacturers develop their own applications that take advantage of the S-Health capabilities. The Galaxy S5 is the first smartphone to include a Heart Rate Sensor and this ties in nicely with the wearables – the Samsung Gear 2 and Samsung Gear Fit are also the first Samsung wearables to include this feature. The Heart Rate Sensor works on the technology that as the heart pumps, the speed and pressure of the blood vary depending on if the heart is pumping blood (systolic pressure or upper number) or the pause in between heartbeats (the diastolic or lower number). If you shine an LED light into that blood vessel in your finger, the amount of light that is reflected differs depending on the speed of the blood flow. The Heart Rate Sensor analyzes this change in rate for five to ten seconds to calculate the heart rate, or beats per minute. You may ask yourself, out of all of the possible measurements used for monitoring our health, why did Samsung choose to include a Heart Rate Sensor – or beats per minute. Out of all of the frequently measured pieces of bio-information, the heart rate is one of the most popular measurements taken…have you ever gone into your doctor’s office without them measuring your blood pressure or heart rate? When exercising, measuring your heart rate before, during and after a workout can give you valuable information such as the state of your health. A smartphone, or a wearable device, such as the Samsung Gear 2 or Samsung Gear Fit are almost always with us, so it made sense for Samsung to include a Heart Rate Sensor into their newest creations. Take a quick look at the video below and see the Heart Rate Sensor and S-Health 3,0 in action and then please let us know on our Google+ Page what you think of Samsung’s S-Health or Heart Rate Sensor – are they features that you do use, or are they simply another Samsung gimmick…as always we would love to hear from you. 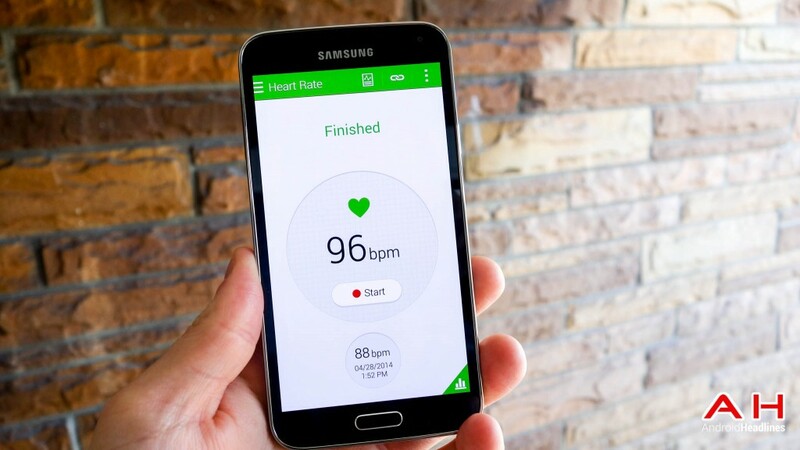 The post Samsung Galaxy S5: S-Health 3.0 and Heart Rate Sensor Explained appeared first on AndroidHeadlines.com |.